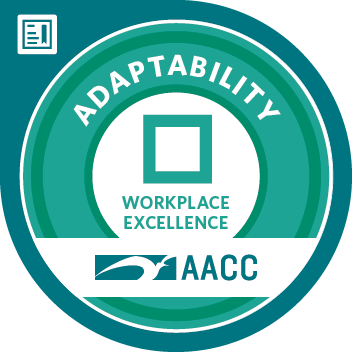 ADAPTability focuses on building the personal resilience needed to be productive, stay healthy, and navigate success in a constantly changing workplace. Understand the current and changing climate of today's market, and employers’ current and emerging expectations. Build personal adaptability to improve resilience, anticipate and prepare for change, and remain productive in a changing environment. Employ strategies to increase awareness, preparation, and ability to effectively manage the stress of working in a changing environment.